Buck sightings, I’ve heard and seen several different things going on right now. Typically, this time of year, bucks are grouped up and concentrated on food. This week, I’ve definitely heard reports of this, but I’ve also had a couple of other reports. One report was from a pro staffer who witnessed bucks cruising. 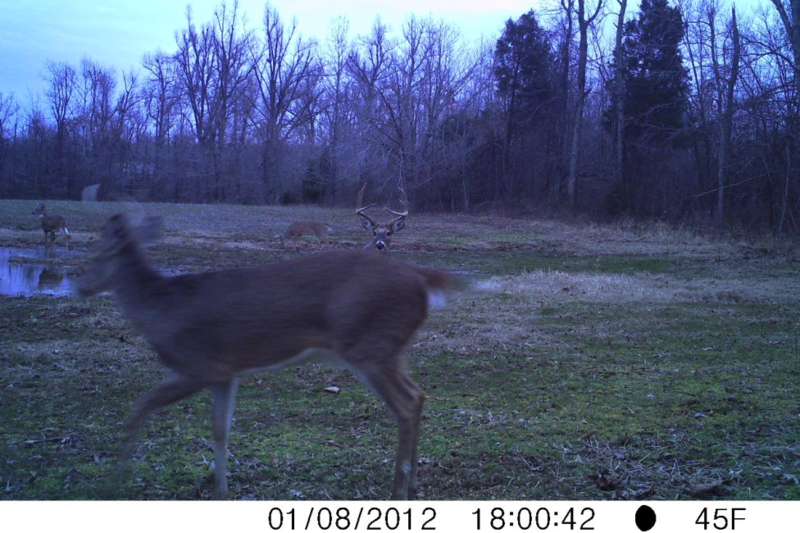 He had a couple of different bucks cruising thru his property and they didn’t appear to be just passing thru. They were seeking a doe. This is rare this time of year, but not unheard of. My conclusion, it all depends on where you are located. Breeding is definitely sparse, but I do believe it is occurring in some spots. When I get back in the field, I will definitely key in on the food, I won’t be hunting my funnels like I do in the rut. If you find large deer densities, that is where you should hunt. If you are lucky and a doe is hot, you may have a few more bucks in the area compared to normal. If you find that you consistently are having your most mature buck sightings on high pressure days with mid-range winds after a cold front, you better make sure you re out hunting on days like that in the future!